RazorSQL provides SQLite GUI / visual tools for easily querying, browsing, editing, and managing SQLite databases. See below for more information. 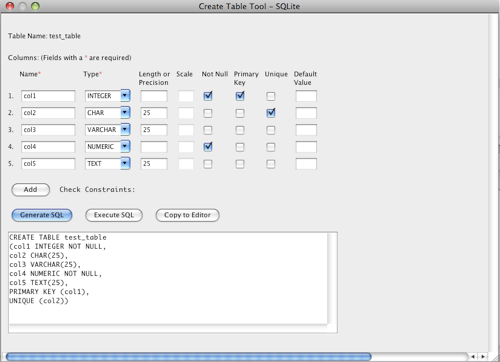 An SQLite create table tool that generates SQLite specific create table SQL that includes such elements as column names, column types, column lengths or precisions, column scales, nullability, unique constraints, default values, and the ability to add check constraints. 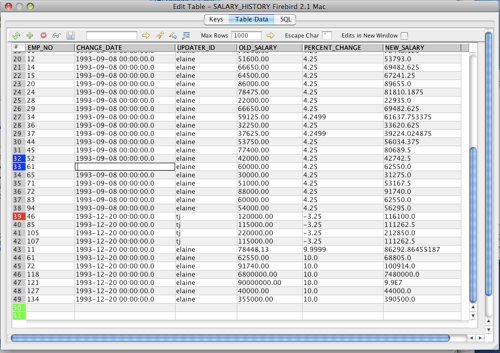 An SQLite alter table tool for generating the SQL to alter SQLite tables with such options as add column and rename table. 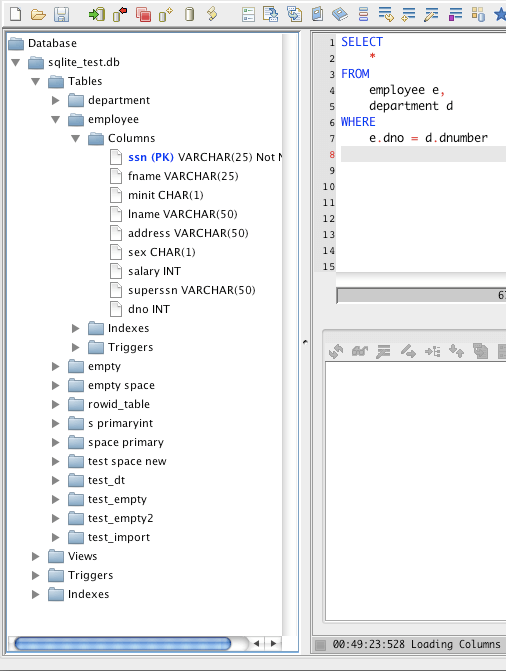 Tools for editing triggers for SQLite. RazorSQL also offers many other SQLite tools such as a SQLite database browser, an SQL query builder, and much more. See the main SQLite Features Page for more information.